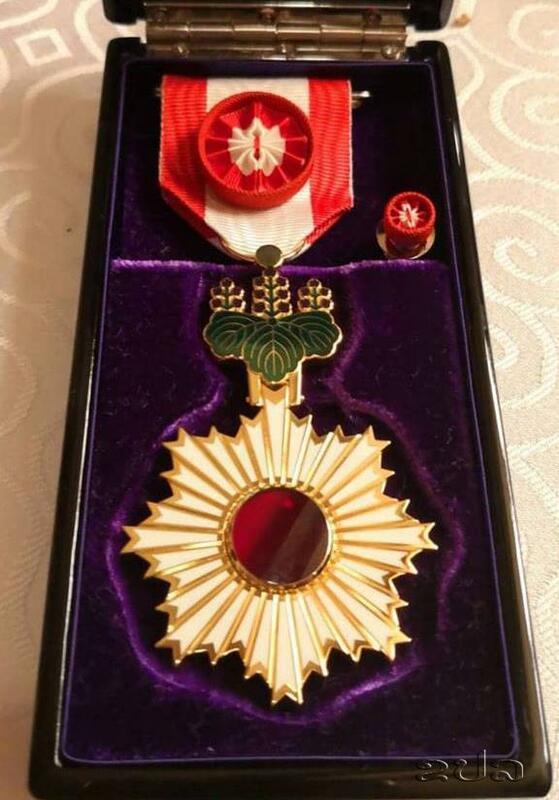 (KPL) Mr Khemsath Philaphandeth, President of the Lao Toyota Service, President of KP Co., Ltd., and President of the Lao Judo Federation, has been awarded the Order of the Rising Sun, Gold Rays with Rosette of Japan. The Order of the Rising Sun is a Japanese order, established in 1875 by Emperor Meiji of Japan. The Order was the first national decoration awarded by the Japanese government, created on 10 April 1875 by decree of the Council of State. “Receiving this award reflects the trust in my contribution to Judo development, especially my management of the Lao Judo Federation and promotion of business partnership between Lao PDR and Japan. My winning of this award resulted from the cooperation and support from the government, privet sector, family, friends, athletes, trainers as well as local and foreign institutes,’’ said Mr Khemsath Philaphandeth. 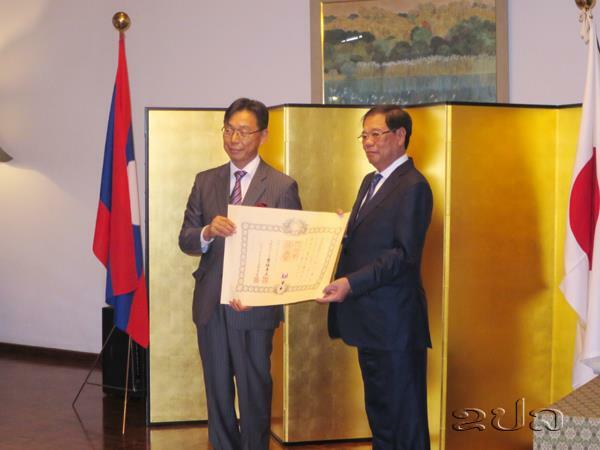 The award ceremony was held on Jan 24 at the Residence of the Ambassador of Japan in Vientiane where the Japanese Ambassador to Laos Takeshi Hikihara, representing the Japanese government, presented the award to Mr Khemsath Philaphandeth. 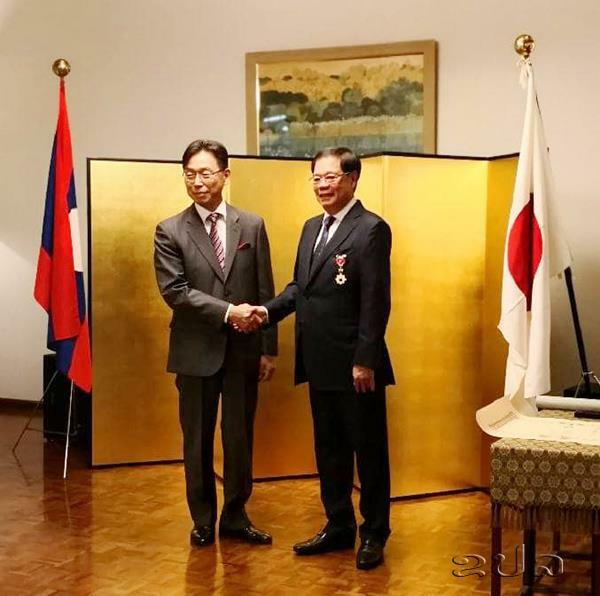 During the ceremony, Mr. Takeshi Hikihara congratulated Mr. Khemsath upon his significant contributions to strengthening economic exchange between Japan and the Lao PDR as well as promoting Budo in the Lao PDR. Mr. Khamsath graduated from Kindai University in Japan in 1974. He started his career as a business person and began working with many Japanese companies. In 1992, he became the president of the Lao Toyota Service Co., Ltd. He has facilitated partnerships between Japan and Laos by establishing a strong brand, selling quality Japanese cars and auto services in the Lao PDR, and promoting various joint ventures. In 2012, he received H.R.H the Crown Prince of Japan, who paid an official visit to the Lao PDR, and gave him a demonstration of Budo skills at the Budo Center in Vientiane. In addition to this, in 2014 he received a Certificate of Commendation from the Japanese Foreign Minister in recognition of his valuable contributions to promoting friendship and deepening mutual understanding between Japanese and Lao people, through the promotion of Judo in the Lao PDR. 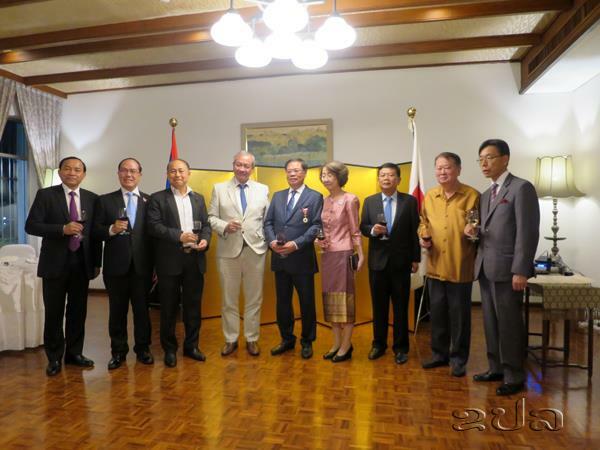 The award ceremony was attended by the President of the Laos-Japan Parliamentary Friendship Association Khenthong Nuanthasing, and Former President of the Laos-Japan Friendship Association Ponmek Dalaloy, as well as VIP guests from relevant ministries and organizations.